JUUL sells their products in the U.K., Canada, Israel, and will soon be in Asia. In the U.K., 85 percent of teens are on Instagram. JUUL’s decision to halt its social media only in the U.S. suggests that their action is more a defensive tactic in response to threatened regulation than a genuine commitment to stemming underage use. As a cancer survivor myself, I understand too well the uncertainty, grief and struggle that accompanies a cancer diagnosis. And as a father of three young children, I hear daily from parents and teachers worried about the epidemic use of electronic cigarettes and nicotine addiction among kids. The FDA proposed restrictions on the sale of e-cigarettes that are similar to policies that Juul adopted earlier this week. Here is the conclusion of the vitamin D study: “Supplementation with vitamin D did not result in a lower incidence of invasive cancer or cardiovascular events than placebo.” The statements seem clear: no benefit. So why did some news organizations proclaim otherwise? Professor Sir Mike Richards, who was the NHS's first cancer director and is the former Care Quality Commission (CQC) Chief Inspector of Hospitals, will lead a team which will assess current screening programmes and recommend how they should be organised, developed and improved. Crucially, however, Nebula customers — those who answer questions as well as those who cough up $99 for sequencing — can say yes or no to any researcher who wants to include their data. The company hopes most people will pony up $99 to get the process going. "Ninety-nine bucks will get you a little bit of genetic information, but to get the full thing, [companies or researchers] will have to be interested in either your traits or your genome or both," Church says. Nebula is betting that pharmaceutical companies and healthcare researchers will be willing to pay for users’ sequencing costs in order to access their health data—which will be anonymized—through Nebula’s online marketplace. Instead of modifying the T cell to go after cancer cells, they’re modifying the cancer cells to get them to engage with T cells — engineering the cancer cell to express T cell engaging ligands. The question has been what genes should be added to do the best job. 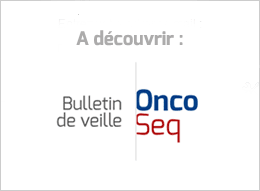 In the primary analysis population of patients, whose tumours express PD-L1 on 25% or more of their cancer cells as determined by the VENTANA PD-L1 (SP263) Assay, Imfinzi monotherapy and the combination of Imfinzi plus tremelimumab did not meet the primary endpoints of improving OS compared to SoC chemotherapy. Results from the Phase III trial, known as Mystic, found that Imfinzi (durvalumab) on its own and in combination with tremelimumab did not improve overall survival more than chemotherapy in patients with a protein called PD-L1 on 25 percent or more of their cancer cells. Recommendation based on results from the Phase 3 CheckMate -214 clinical trial. Designation Based on Positive Phase 3 ECHELON-2 Trial Evaluating ADCETRIS in Frontline CD30-Expressing Peripheral T-Cell Lymphomas; Data to be Presented at Upcoming American Society of Hematology Annual Meeting in December. The collaboration’s main targets are enzymes within the helicase and histone acetyltransferase families, which have been linked to the development of cancer when dysregulated. The collaboration has a strategic goal to focus on lung and other solid tumor cancers in patients with defined mutations, sub-populations that currently lack precision medicine treatments. Cost regulators for the NHS in England and Wales have now published final guidelines recommending Mylotarg, alongside daunorubicin and cytarabine, as an option for untreated de novo CD33-positive acute myeloid leukaemia (AML). Dr Zev Wainberg reported on results from a phase II international clinical trial of dabrafenib plus trametinib in 36 patients with biliary tract cancer (BTC) and adenocarcinoma of the small intestine (ASI). These patients had one of the most common mutations in the BRAF gene –BRAF V600E – which is implicated in a number of cancers and in about 15% of BTC and ASI cancers. China’s enormous population is a genetics goldmine. But the government, wary that this data could be exploited for profit, has been cracking down on researchers and companies that violate rules on sharing its citizens’ genetic material and information. Some scientists fear that this closer attention is creating hurdles for international collaborations. A J&J spokesperson said the company is “pleased” with the jury’s finding. “While we deeply sympathize with anyone suffering from any form of cancer, the science and facts show that her disease was not caused by her use of our talcum-based products,” she added.